An outdoor booth serves as North Pole in downtown Madison. 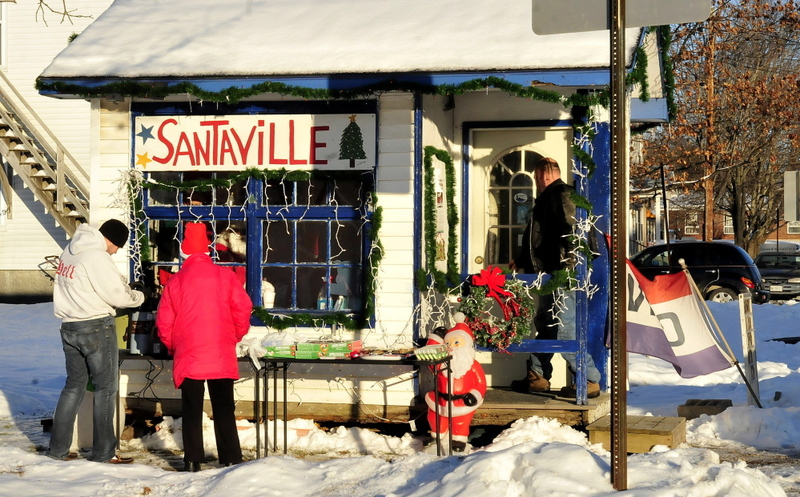 MADISON — For about three weeks of the year, a small white shack in downtown Madison that serves as an information booth for Anson and Madison is transformed into Santaville, decorated with garlands and white icicle lights. Inside, Stephen Foshay, who most of the year runs the information booth, will take on the part of Santa Claus, dressing in a red and white suit and visiting with local children. It’s a tradition Foshay has carried on for more than 30 years, since he first dressed up as Santa in 1977. He’s worked out of various places in Madison, East Madison, Skowhegan and Anson during the holidays, but mostly out of the small white shack that moves from place to place around town. For the last three years, Foshay, 71, couldn’t open Santaville because he doesn’t have a vehicle and couldn’t get to the information booth, which was near the Kennebec Ice Kreamery on the outskirts of town. The booth was started by the Anson-Madison Chamber of Commerce before the group disbanded a few years ago. Foshay, who was a chamber member, has kept it alive. Foshay said he generally occupies space wherever land or business owners will let him set up. But since 2011, when the booth moved to the Kreamery property, he couldn’t get to it. 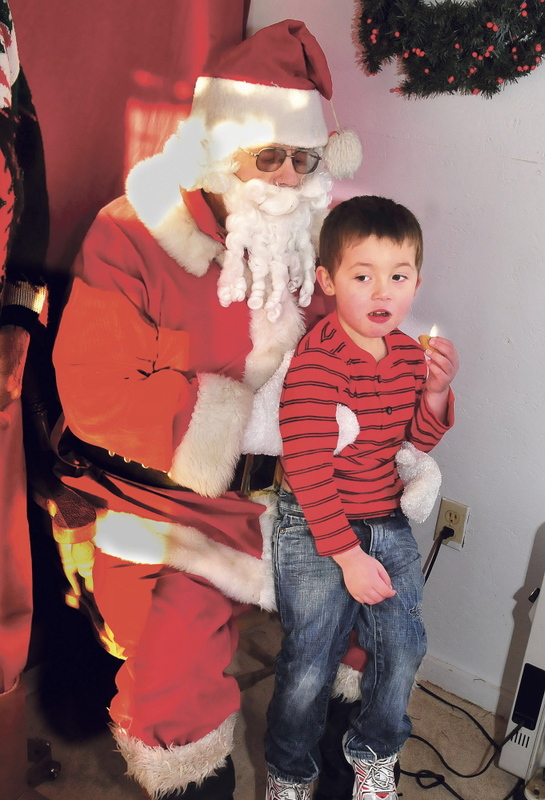 “I didn’t want to hitchhike home in my Santa suit,” Foshay said. In August, the information booth was moved to the property of T.R. Dillon Logging, and Foshay thought it would be a good time to bring Santaville back. He can easily walk there from his house. The location is also one where people are more apt to be walking, said Tom Dillon, the owner of T.R. Dillon Logging. Santaville will be open every day through Tuesday, Dec. 23, from 3-7 p.m. Admission is free and visitors can bring their own camera to take pictures with Santa.